Dandruff is a condition in which flakes and chunks of dead skin are shed from a persons scalp and for some people it can cause self esteem problems. 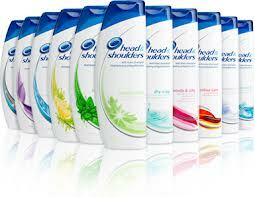 In order to get rid of dandruff the best thing is to start using an appropriate shampoo. But sometimes shampoo doesn't help and this is where home remedies come to the rescue. 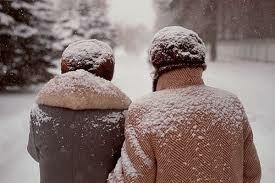 In the winter, dandruff is more common since the air is really dry and people put heatings on, which takes out the humidity in the air and makes your scalp dry. So be sure to use conditioner after each wash.
Avoid oily and junk food since they are among the main reasons for dandruff. Eat fruits and vegetables rich in vitamin C, as well as nuts, seeds or leafy greens rich in vitamin E, every day. Add proteins, whole grains, legumes and other vegetables rich in B vitamins and zinc as well. Get plenty of B vitamin by eating things such as eggs, cabbage, and yeast. These also help provide sulfur, which is vital to your scalp. Leave on the anti-dandruff shampoo on your scalp for atleast 5 minutes before washing off. Don't scratch. Massage your scalp thoroughly, while taking care not to scratch it with your nails, rub gently, because fingernails can damage the roots. Blend together 1 tbsp. of lemon juice with 5 tbsp. of coconut oil. Apply to the scalp to get rid of dandruff. Lemon juice is a natural home remedy for dandruff and will clear away flakes from your scalp. Leave this remedy on the scalp for 20 to 30 minutes and then wash with a shampoo. Rinsing your scalp with lemon juice works wonders in getting rid of dandruff. You can also use freshly squeezed orange juice for the same purpose. Tea tree oil is a natural home remedy for dandruff. It has natural antiseptic and antibiotic properties, which make it best to get rid of dandruff. Tea tree oil can be mixed into lotions, oils and shampoos. Massage the mixture into the scalp and let it sit for 15 minutes, then rinse. Or you can apply tea tree oil directly to the scalp. Some people have reported success after washing their hair with apple cider vinegar. Put some apple cider vinegar in a small spray bottle, mix it with water and spray it on your hair, making sure your entire scalp is covered. Then simply massage thoroughly and waite about 20-30 minutes. Shower and shampoo before going to bed as you normally would, take extra care to rinse well. Don't use it very often, because it does fade color a little bit, but not much. Whenever you wash your hair be sure to soak your hair brushes and combs in very hot water. Practice yoga, meditation or deep breathing to reduce stress, which is an important step in controlling dandruff and other skin conditions that may cause it. Begin an exercise regimen, listen to calming music, take up a relaxing hobby or find other ways to keep stress away. Thank you Silvia for stopping by. Thank you so much for nominating my blog for Liebster Blog Award. I'm happy you lke it. Hi Jen, wow, two nominations in a row. Thank you very much. These are such good tips! I need to share them with my BF!